iMovR accessories make our workstations seamlessly productive. Explore our monitor arms, seating options, keyboard trays, cabinets, and other essential desks add-ons. Neck strain is real—and proper positioning of your monitors is the cure. 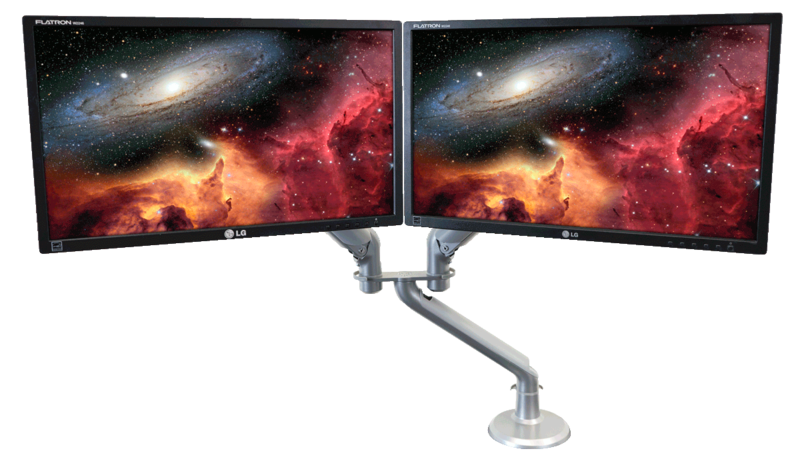 Utilize one of our ergonomic monitor arms, and guarantee your screens are always in the right spot. Pain-free computing is right around the corner. Find out which monitor arm is right for you with our detailed buying guide. iMovR Ergonomic Chairs are specifically designed to fit perfectly on top of any office treadmill without ruining the belt. 100% made in America, iMovR chairs feature ergonomic polyurethane seats designed to provide comfort regardless of whether you're sitting or leaning. These highly adjustable stools are perfect for times when you need to take a break from working while walking or standing. Our keyboard trays keep your forearms and wrists in a neutral position, as opposed to the norm of a 90 degree angle. Our rock-solid stability and ergonomically sound keyboard trays will keep you pain free while you work. Making the transition from a fixed height desk to a height adjustable workstation may have left you with less storage space than you'd like. 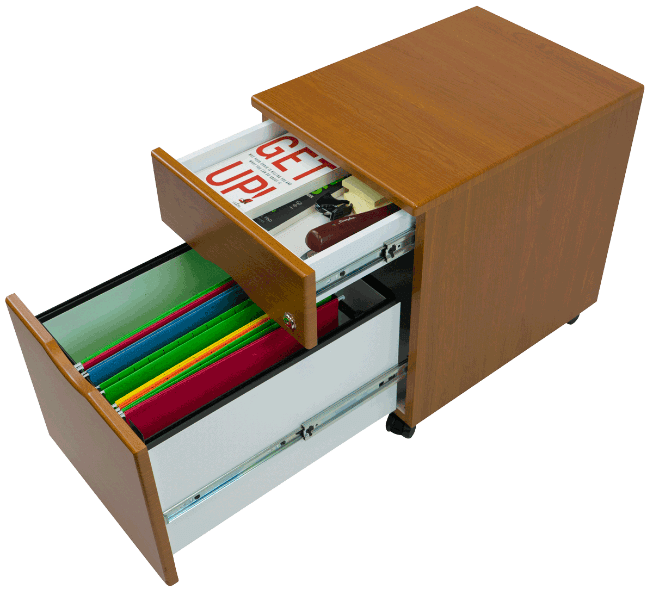 iMovR's mobile filing cabinets offer a complete storage solution and are easily moved around in your space. Messy tangled wires exposed on and under your desk? 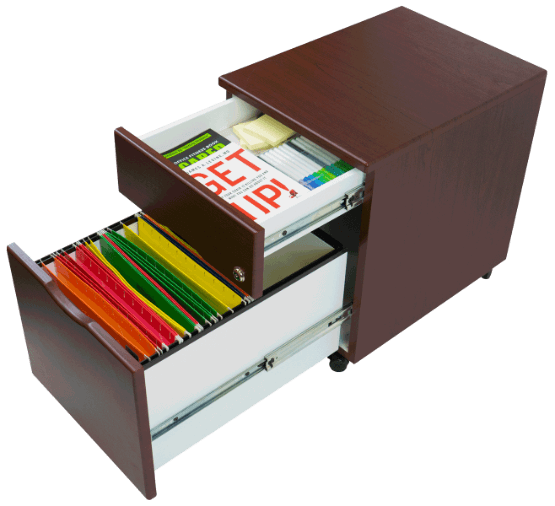 Our kits include a variety of versatile and reusable components, to get the job done right and keep your desk organized and ready for business, even as you add or subtract more electronic devices over time. You have the power! 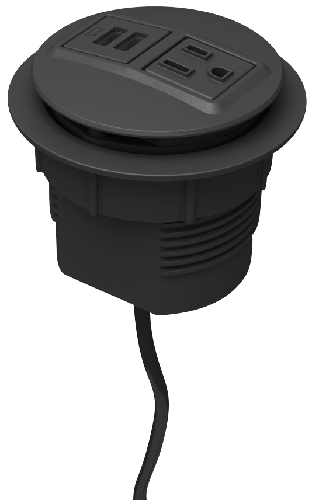 Stay efficient and tidy with our grommet-mounted power node options and cable management kits. Stand and sit easy with the iMovR Foot Rest. Featuring an anti-fatigue surface, this little helper is good for both standing desks and traditional desks. No longer do you have to lock your hips and knees while standing or find your feet awkwardly searching for a surface support as you adjust your chair. We offer two options for cable management: Choose the Basic Kit for minimalist workstations, or the Advanced Kit for desks that have more than just a few cords to corral. Boost your iMovR standing desk height by up to 6" with a set of height extenders. Taller users require a taller work surface for proper ergonomics—these height extenders provide not only that, but the benefit of increased stability as well. Our height extenders are easy to install and will match the color of any iMovR base. You have some space in your room or office, and you want the flexibility to reposition your iMovR stand up desk as often as you need to without the hassle of finding a helper to lift it. 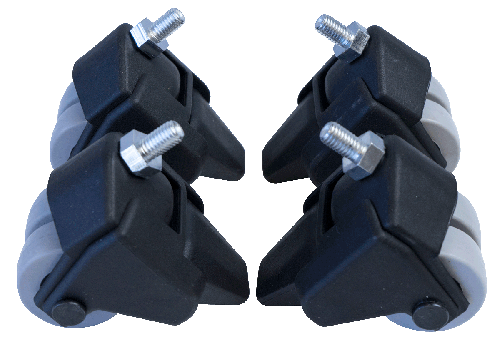 iMovR’s Locking Caster Wheel Set is for you. Don't waste your time groping around the floor for a free place to plug in a charger. The iMovR Power Node brings dual AC power sockets to your desktop through the grommet hole! This "node" fits into the 3" grommet holes that come standard on all of our desk tops. 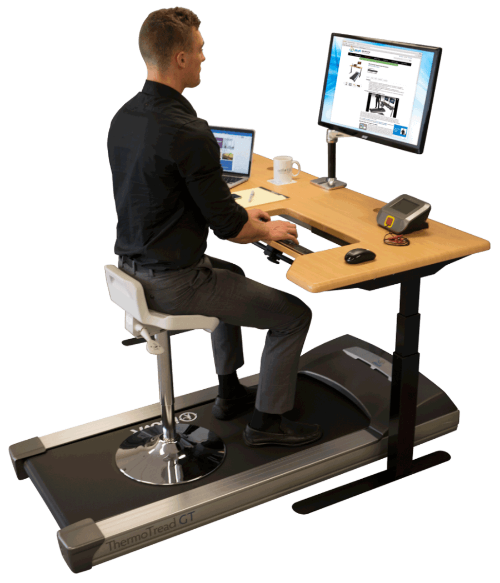 Transform your Cadence Standing Desk Converter to support dual monitors. 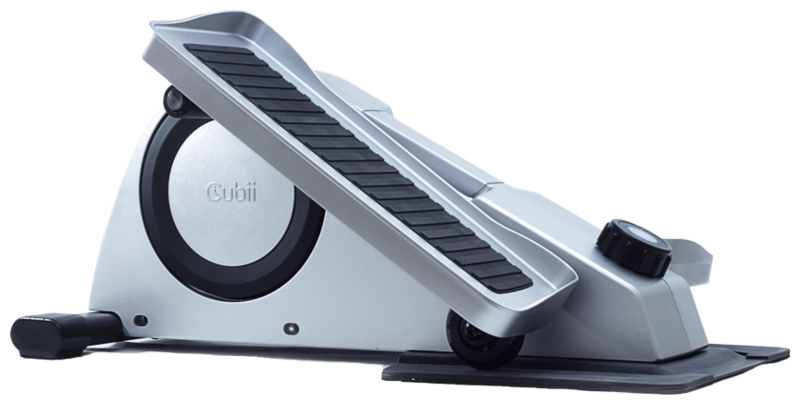 Easily assembles to your existing Cadence or Cadence Express model for more productive work while standing. Strong, flexible, and lightweight, the Xtend Single Monitor Arm is an essential part of your standing workstation. Made in America and featuring a long-life spring system, the Xtend helps you to avoid neck strain while sitting or standing. 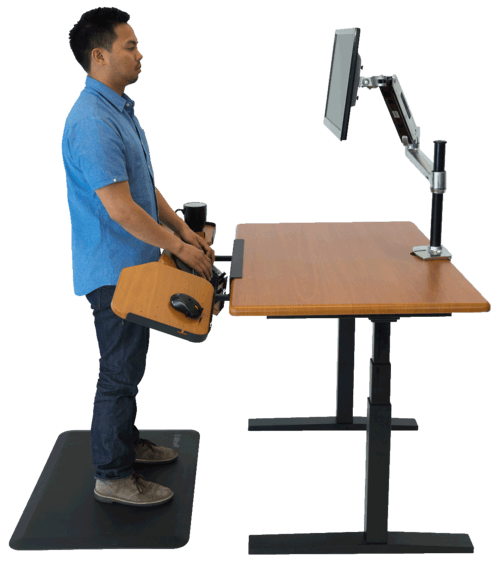 While the Xtend is recommended for use with standing desk converters such as the iMovR ZipLift, it’s also compatible with full standing desks. Don't waste your time groping around the floor for a free place to plug in a charger. The iMovR Power Node brings dual AC power sockets to your desktop through the grommet hole! This"node" fits into the 3" grommet holes that come standard on all of our desk tops. Prevent neck strain and create an ergonomically-sound workstation with iMovR's Tempo Light Monitor Arm, which excels in stability, adjustability and ease of installation. Setting your monitor to the perfect position has never been simpler. The Tempo Light Monitor Arm is the best suited for one monitor, between 5 and 20 lbs, providing smooth positional adjustment. OUT OF STOCK. Standing desks pose a number of ergonomic challenges for taller users, who often end up straining their necks looking down at their monitors while standing. Meet the Concerto Tall Pole Single Monitor Arm, featuring a 12” pole that will allow even tall treadmill desk users to view their monitors at the proper height. This stylish and functional monitor arm is made right here in America, featuring high-grade components and a classically-inspired design. A simple and elegant ergonomic solution for double monitors, iMovR’s Tempo Dual-Screen Monitor Arm positions your two monitors side-by-side at a 25 degree “open book” angle. A weight gauge with adjustable counterbalance brings smooth, easy adjustment to your fingertips. Installs in just minutes—for use with monitors of a combined weight of 6 to 28 lbs. The iMovR Trackless Keyboard Tray is an essential part of an ergonomically-sound workstation, with up to 15 degrees of tilt for a strain-free typing experience. This keyboard tray installs directly under your desk without a track, allowing it to fit tighter spaces while providing greater stability. When you’re not using it, you can simply stow it under your desk to free up space.